How AWS Kinesis service limits help you avoid misuse of resources? Home Security & Health Service Limits How AWS Kinesis service limits help you avoid misuse of resources? AWS service limits are restrictions on the limits of the resources that can be used by a particular user. These restrictions are imposed to prevent the new users from spending way too much on resources while they are getting hands on the AWS console. 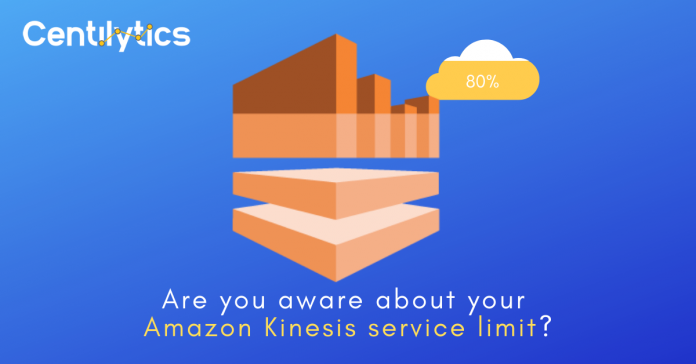 AWS Kinesis is one of the services where you need to ensure that its service limits are kept under control and are not breached. AWS Kinesis is a service which facilitates big data processing in real time. Kinesis is capable of processing hundreds of terabytes of data which is extracted from data sources having high volumes such as operation logs, transactions, social media feeds etc. Kinesis has data streams which consist of various shards. Each shard has data records. Each data record in a shard consists of a sequence number, a partition key and a data blob which is a sequence of bytes. You can easily integrate AWS Kinesis with various other services such as AWS Redshift, AWS S3, AWS DynamoDB and so on. Why do you need to keep tabs on your AWS Kinesis service limits? It is quite important to analyze the service limits of your Kinesis service for the fact, you probably don’t want anyone to misuse your resources. Users who are new to the AWS and their services might get overwhelmed and might keep on using resources without realizing when they surpassed the specified limits for their resources. How does Centilytics assist you? Centilytics provides assistance to its users by giving an alert indication to the user whenever the said limit is about to breach. This is done with the help of a dedicated insight into the service limit of Kinesis shards available to the user in a particular region. CRITICAL This indication will be displayed when the user has breached 100% of the specified limit of the corresponding resource. WARNING This indication will be displayed when the user has breached 80% of the specified limit of the corresponding resource. Account Id: This column shows the respective account ID of the user’s account. Account Name: This column shows the corresponding account name to the user’s account. Region: This column shows the region in which the corresponding resource exists. Limit Amount: This column shows the limit of the resource which is available. Here, the limit refers to the no. of the kinesis shards available per region. Current usage: This column shows the current usage level of the corresponding resource. Service: This column shows the type of service limit. Account Id Applying the account Id filter will display all the resources for the selected account Id. Region Applying the region filter will display all the resources corresponding to the selected region. Severity Applying severity filter will display the resources according to the selected severity type i.e. selecting critical will display all resources with critical severity. Same will be the case for Warning and Ok severity types. Previous articleHow AWS DynamoDB service limits can help you avoid resource wastage? How AWS DynamoDB service limits can help you avoid resource wastage?